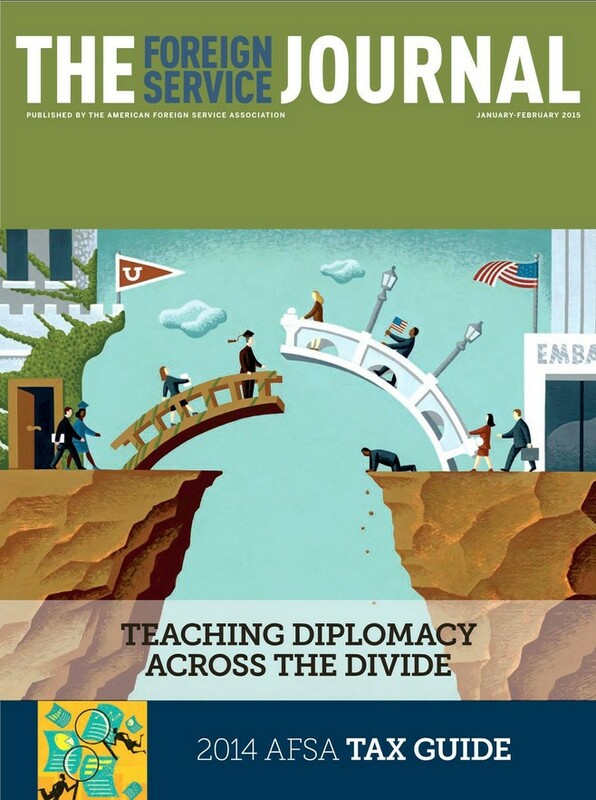 The January-February issue of The Foreign Service Journal focuses on teaching diplomacy in a modern academic setting. Four articles examine the subject; kicking off with Ambassador Barbara Bodine’s reflection on how the realities of diplomacy differ from how the subject is taught and what students expect. Retired FSO Donna Marie Oglesby writes about how practitioners and academics teach diplomacy is significantly different, and Paul Sharp addresses the expectations those two disparate groups have of one another. Finally, retired FSO Robert Dry provides a literature review of books that are relevant to anyone teaching diplomacy today. University of Arizona student Ahva Sadeghi looks back on her experience as a participant in the Department of State’s virtual student Foreign Service internship program, and exhorts her contemporaries to follow the same path. AFSA President Robert Silverman ponders the famous “Blood Telegram” of 1971 and the nature of dissent, and retired Ambassador Edward Marks wrestles with the ever-evolving definition of the term “diplomacy.” Former FSJ editor Steve Honley looks back on his Foreign Service life through the prism of a Jeopardy tryout. Finally, the issue contains the ever-popular AFSA Tax Guide for Foreign Service employees and retirees. Diplomacy is a collaborative process over time involving a number of players with differing perspectives and strengths. How does a practitioner convey that in a classroom? Who is a diplomat in today’s world? The differences between the academic’s and the practitioner’s approach to teaching diplomacy point to some answers. The publication of books on diplomacy as a distinct discipline has increased recently. Hopefully, it is a trend that will continue. The relationship between practicing diplomats and international relations academics is fraught, and they are certainly not on the same wavelength when it comes to teaching diplomacy. Does it matter?